Did you know that 75 million Americans live with high blood pressure? That amounts to 1 in every 3 adults, according to the Centers for Disease Control and Prevention. Unfortunately, many people don’t even know they have it, because it usually comes with limited signs or symptoms. 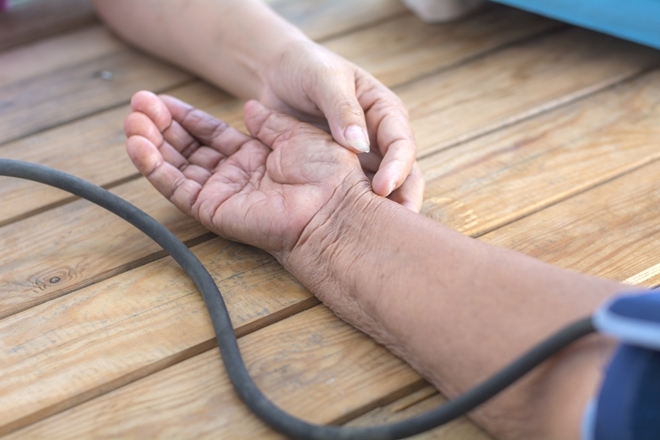 But high blood pressure isn’t just a problem in itself – it can increase your risk of heart attack, stroke, diabetes, arterial damage, vision loss, ruptured blood vessels and even loss of cognitive function if it goes untreated. A spike in blood pressure levels is often the result of gained weight. That’s why we recommend getting rid of those extra pounds as one of the easiest lifestyle choices that contributes to controlled blood pressure. According to the Mayo Clinic, men are at risk if their waist measures greater than 40 inches, and women are at risk if their waist measures more than 35 inches. Losing pounds and maintaining a healthy weight can be as simple as exercising more often and changing your eating habits – following a diet that eliminates preservatives, added sugars, refined grains and saturated fats is key. 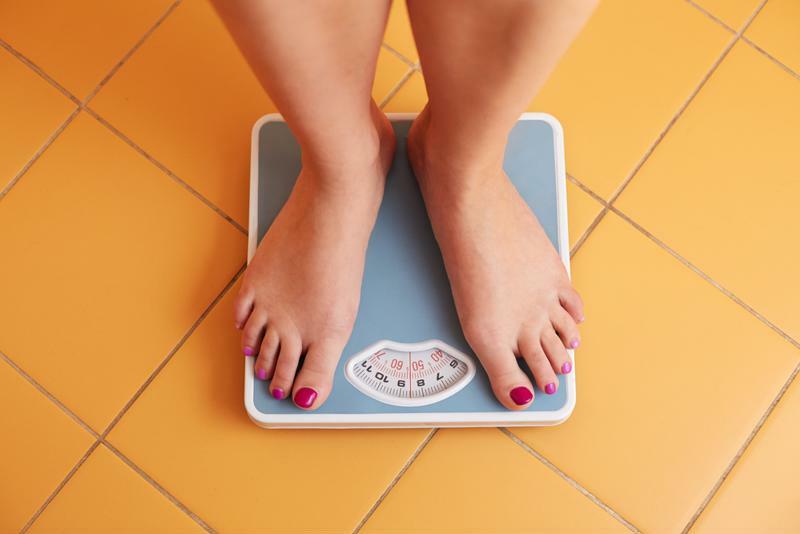 Maintaining a healthy weight can drastically reduce your blood pressure. Exercise isn’t only great for keeping your body in top shape. It can also strengthen your heart, reduce your stress levels and control your blood pressure, according to the American Heart Association. If you’re new to exercise, don’t feel obligated to throw it into your everyday schedule right off the bat. Implementing moderate level physical activity, such as brisk walking or biking every once in a while, is a simple way to get started. At some point, you should reach 150 minutes of moderately intense activity per week, with two days focused on strengthening exercises. Eliminating saturated fats, sodium and cholesterol is the first step to controlling your blood pressure, but incorporating healthier options is even more important. Following a primarily raw, plant-based diet that focuses on fruits, vegetables, nuts and seeds, legume and whole grains can lower your blood pressure and contribute to overall health and longevity. A handful of raw, unsalted almonds a day may help to reduce blood pressure. Make it a priority to eliminate processed foods, preservatives and non-natural products from your pantry. Instead, follow a primarily raw, plant-based diet that prioritizes your health and leads to nothing but a long and fulfilling life. 4. Consider our BeetMax Product! According to a study conducted by the University of London and published in the American Heart Association journal Hypertension, beets can help to lower blood pressure in patients living with hypertension. So why not consider Hallelujah Diet BeetMax? Our concentrated organic juice powder offers one of the fastest ways to obtain maximum nutrients and maintain optimal health. It contributes to brain and reproduction functions, regulated glucose metabolism and more. What are your thoughts on bio identical hormones? Are they healthy? Are they safe? Does Hallelujah Acres recommend them? Why does the beetmax solidify into one big clob? My guess is with things like moisture, humidity, summer temperatures and the sugar content in the beets, the powder can stick together. With all the powder products, it is best to use them daily once they are opened. They can all get clumpy over time, once they are opened. One thing I am careful to do is make sure the spoon is not damp when spooning out the product. Also, that my hands are not damp as I reach down into the container. In the middle of the summer, the Carrot Juice Max will sometimes get some clumps. However, they usually dissolve in water or, even better, with a quick blend in a blender. If a product is opened and used a few times, then left in the cupboard for a while, then it can form one big glob. This was good information about how a person could lower there blood sugar. I knew about the exercising but never thought about beet max. I know how important it is to eat a healthy diet. With the exercising I love walking and doing stuff in the gym so I hope it can keep my numbers right. Wonderful information I know of a lot of people that deal with high blood pressure. Changing your diet can really be a key factor in helping to reach and maintain a healthy level.